That’s why we are inviting you to engage together with us on #worldplumbingday! You’ll join thousands of passionate enthusiasts, promoting the link between good plumbing practices, inventions, health, economic prosperity and human well-being. 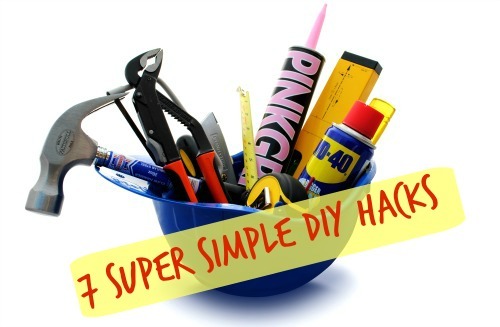 Let us show you a few life-changing home improvement ideas. By making sustainable choices, they will help you become more water-efficient and save money at the same time. You’ll also find how to prevent major plumbing problems and property damage. Here is a checklist of the essential inspections and improvements you can take advantage of. Check or have pipes inspected for leaks by a local plumber. If there are any, they will increase your water supply bills. 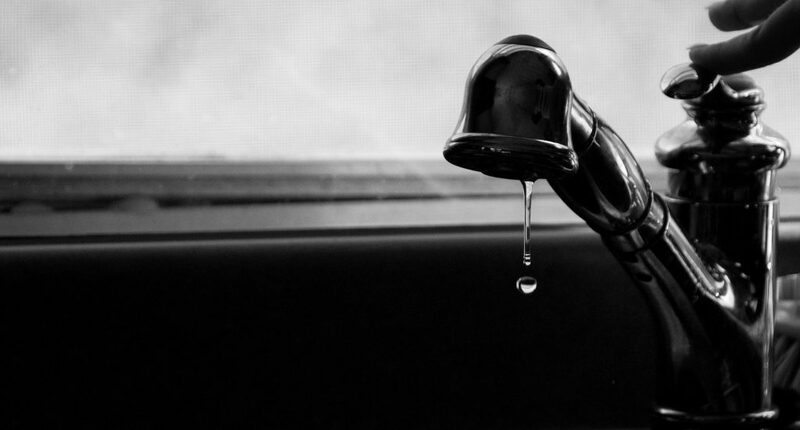 The small drips might not look that serious, but keep in mind your home will lose approximately 20 gallons of water per day if you don’t fix them. If neglected for a longer period of time, the leakage might widen and cause even greater problems. Then you will have to spare money for water damage and serious plumbing repairs. You should check the toilets as well. A simple way to do it is to place a toilet cleaning block in the cistern. They are usually dyed in a certain colour, for example, blue. After you’ve added it, carefully inspect for any coloured water flowing in the toilet. Statistical data shows aerators reduce water use up to 60%, which is approximately 280 gallons of water. You will feel the difference, especially if you’re using more hot water. As they economise on water, the energy used to warm it will decrease as well. iSave is a digital gadget which attaches to the shower head or sink tap. It has a display which shows exactly how much water you’re using. What’s more, the energy iSave consumes is produced by the water which runs through it. Ordinary faucets waste up to 6 gallons of water in half a minute. The peculiar design of 1 Litre Limit allows you to use exactly 1 L of water per wash. The faucet has a transparent pipe-like container, which shows how much water is left till the next refill. If you want to install one, it would be better to place it on the bathroom sink, as you won’t use it as frequently as in the kitchen, for example. 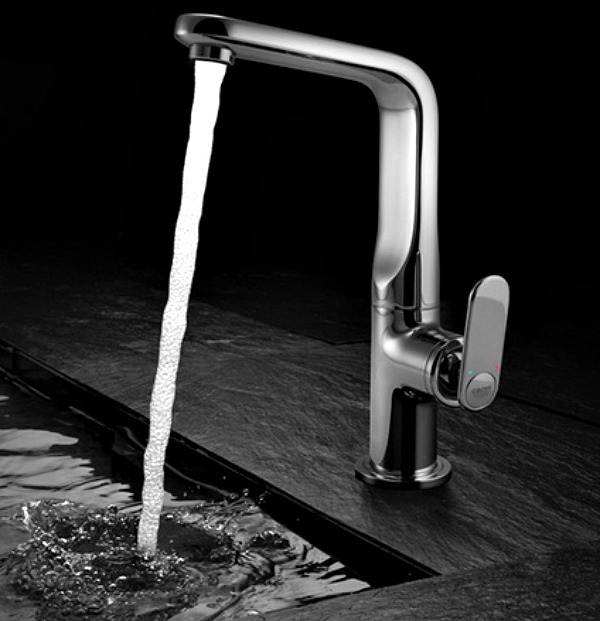 Sim Qiu, design student in London’s Royal College of Art has invented the water-efficient Swirl faucet. The water goes through a pipeline which makes it run in spirals and saves up to 15% of water. Sadly, this elegantly-designed water tap has not gone into mass production yet. Most people who live in older buildings have older toilets. Their flush consumes approximately 14% of the water in an average household. This makes them inefficient when it comes to water use. Instead, you can install low-flow toilets. They work either with pressure or gravity-assisted mechanism and use up to 1.3 gallons per flush, as opposed to older models which use 1.6 gallons per flush. There are water-efficient solutions when it comes to shower heads as well. Water-smart showerheads use up to 1.25 gallons per minute. This is a significant difference, compared to regular showers which use 2.5 gallons per minute. 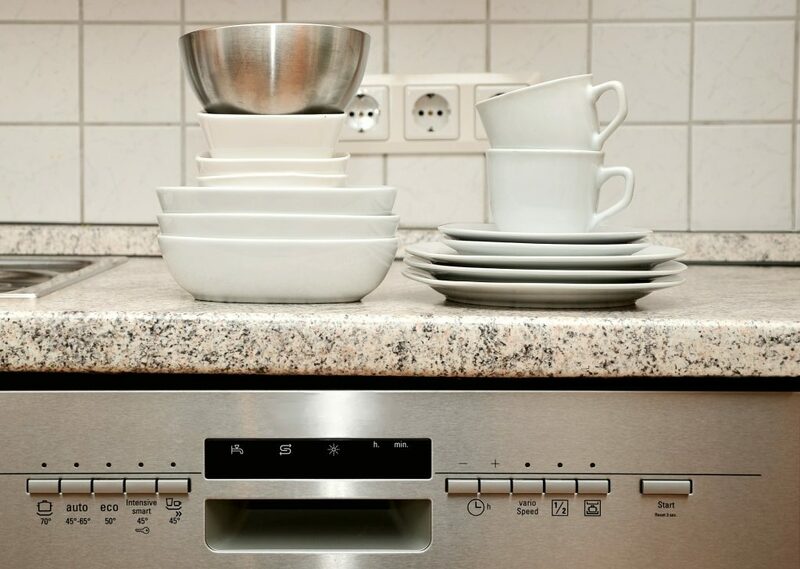 Installing an eco-class dishwasher will use much less water. It might seem pricey at first, but it will return the investment. Dishwashing machines are more environmentally-friendly, as they use less water to function. They need approximately 4 gallons of water for a full cycle. Manual dishwashing might result in wasting about 20 gallons of water for each wash.
Nowadays, you can avoid unnecessary water heating, frozen and burst pipes, dripping taps and even large water damages by installing one effective solution: smart water controllers. Although the initial investment is comparatively large, it guarantees large savings in the future. Also, you may be in the most remote part in the world and the innovative notification system will make you feel calm and relaxed all the time. Of course, it functions if you have an internet connection. 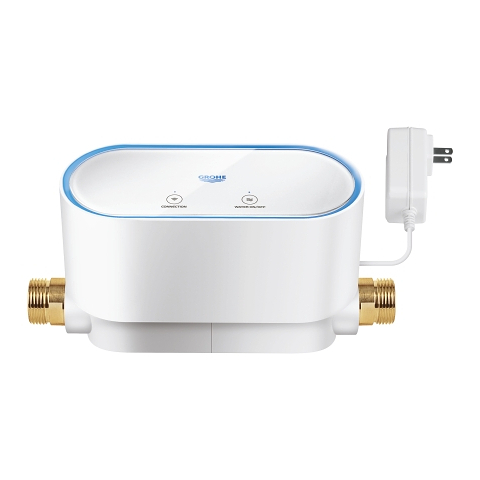 By only one tap on your smartphone, you can track the water consumption, detect any piping issues and even shut off the water supply. That’s how you still hold everything under control! Green plumbing improves not only your home but the world we live in! Save 11th March in your calendar now! Celebrate it with us and take a step to a more water-efficient home from now on! When you don’t know where to begin, the simplest and cheapest thing is to change your habits (in terms of daily water savings and routine maintenance). Whenever you need, Bob’s Handyman Services plumbers are near you to give you excellent advice on how to avoid common plumbing problems and save money on water bills. 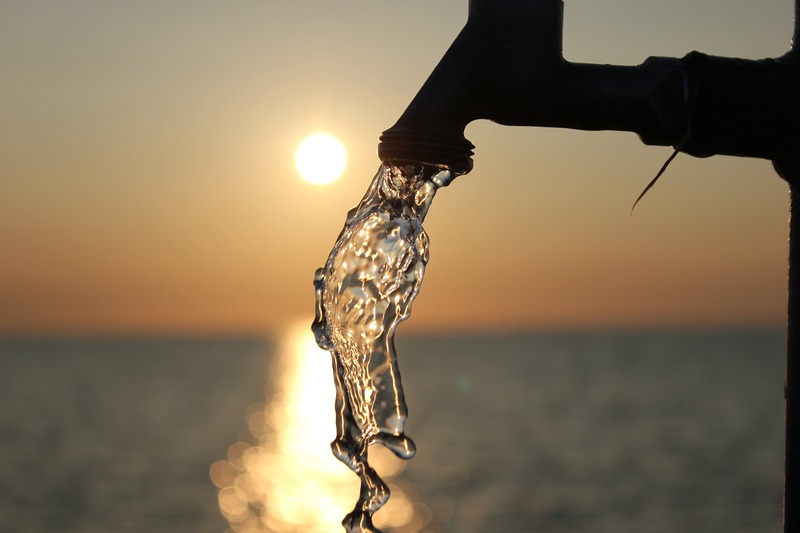 SAVE WATER – SAVE EARTH! Get involved! Share with us how you conserve water to make your home and world a better place to live!